Air quality refers to more than just lingering odors; it also pertains to the amount of particles and airborne pathogens in the air. As many health studies show, air quality is a serious matter, and can greatly affect the quality and health of our lives. A dynamic electronic air cleaner can help ensure that the air that you and your family or coworkers breathe has been properly filtered. Our air purification systems can effectively control the amount of particles, pathogens, and chemicals present in your home or workplace. 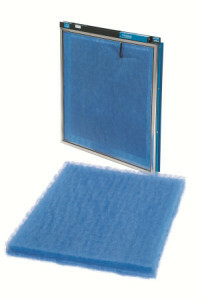 Keeping your residence and office almost completely free from airborne diseases such as the flu virus and many others. Typically, all air cleaners work by sifting air through a media filter that traps particulates; this process is called impingement. Dynamic electronic air cleaners take this two steps further by adding two more processes for even cleaner air: polarization and agglomeration. These two features make dynamic electronic air cleaners one of the best options for air quality maintenance. Polarization – Polarization is the process of inducing an electrostatic charge to any and all particulates that pass through the air cleaner. By being polarized like this pathogens can then be easily removed from the air with oppositely charged fiber media that act like magnets. Agglomeration – Agglomeration is an additional state reached during the polarization process, wherein the charged airborne pathogens help in making the air cleaners even more effective. As the fiber media collects more particles, it carries an even stronger charge that builds upon what it has already collected. This is caused by the agglomeration/attachment of the particles to the fiber and each other, forming an even bigger magnet-like effect. Dynamic Air Cleaners are ideal for removing odors as well as the smallest sub-micron particles, airborne viruses, pathogens, and volatile organic compounds (VOCs). This includes dust mites and dust mite feces, one of the largest causes of allergies. Electronic polarized-media technology is non-ionizing which means no Ozone is produced. For more information about our dynamic electronic air cleaners and other products, call us at (702) 803-3019 or fill out the contact form.